Fatism, like weightism, is a type of discrimination based on a person’s weight. Those who are fatist deny overweight people equal rights and opportunities simply because they are heavier than others. Unfortunately, not only is fatism not legally defined and explicitly outlawed, but many see it as completely socially acceptable. Exploring the basic beliefs of fatists, the prevalence of fatism in society, how fatism effects everyone and what you can do to combat fatism in your life should help you better challenge fatism when you witness it. Fatists tend to believe that weight is a completely controllable characteristic, therefore overweight people are simply too lazy to keep themselves at a more “acceptable” weight. Building upon this idea, fatists may then also ascribe other negative character traits to those who are overweight including a lack of trustworthiness, a lack of intellect, a lack of care with physical health, a lack of good humour and generally negative attitudes. None of these characteristics have anything to do with weight, nor is it always true that a person’s weight is controllable with a typical diet and exercise regime, but fatists usually think in broad strokes rather than about individual people and circumstances. Fatists typically also believe that an overweight frame is unattractive and believe that others equate heft with ugliness as well. Sociological studies conducted across the West have returned results which show fatism as being more widespread than racism, yet a great portion of the population doesn’t believe that fatism even exists let alone is a problem. Very often those who engage in fatist thoughts or behaviours believe that they truly only care for what is best for the overweight individual, and have their best interests at heart when they show them the “tough love” required to motivate them to lose weight. Fatists may even acknowledge that it is not fair that overweight individuals are treated poorly, but that they are simply pragmatists who know this to be true and want to help the individual lose weight in order to effectively earn better treatment from the wider world. Fatism effects everyone, even those who do not believe in it or believe that they have ever witnessed it. As long as any form of discrimination or prejudice is allowed to flourish society will remain inherently unequal. Those who engage in fatism do themselves a disservice by perpetuating inequality and even misinformation about weight and health, and those who are victimised by it can internalise negative sentiments and believe that they are less worthy of dignity and respect than other, slimmer individuals. Victims of fatism may also lose out on employment and career advancement opportunities, unbiased healthcare and even the chance to make new friends and begin romantic relationships based on their weight. Avoiding gossiping or joking about overweight individuals. Challenging stereotypes of overweight individuals. Complaining when you witness fatism in action. Speaking up when others ascribe personality traits to others based on weight. 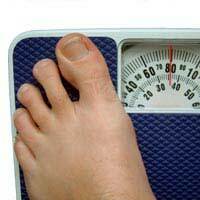 Correcting misinformation about weight and health, particularly about specific individuals. Expressing your discomfort with conversations or comments about physical appearance. Refusing to consume media which advertise a slim standard of beauty. Asking others to examine their own thoughts on weight, worthiness and equality. Fatism is a widespread problem in society, yet also a type of discrimination in which many refuse to believe. Learning more about the basic beliefs held by fatists, the prevalence of fatism in society, how this kind of prejudice affects everyone and how you can combat fatism in your own life should help you better fight this problem in society at large.